Thousands of Washington Capitals fans from far and wide came out to support the team on Tuesday during the Stanley Cup victory parade along the National Mall. See photos and video. 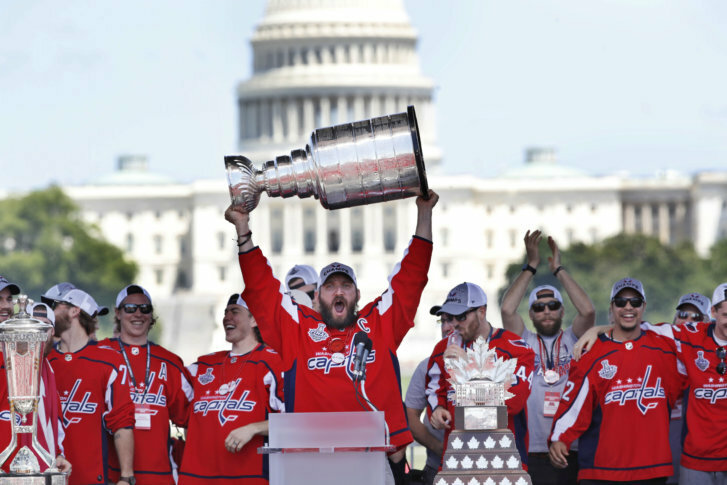 WASHINGTON — Thousands of Washington Capitals fans from far and wide came out to support the team on Tuesday during the Stanley Cup victory parade along the National Mall. The Capitals and their fans took to the streets Tuesday afternoon to celebrate their first-ever NHL title after they defeated the Golden Knights on June 7 in Las Vegas. It was the first major sports title for a Washington, D.C. team since the Washington Redskins won the Super Bowl in the 1990s. If you are heading home from the parade, show us what you saw. Send your photos to talkback@wtop.com. Tweet us @WTOP on Twitter. Or send your photos through the new WTOP app.